Direct primary care providers have a lot going on. In addition to caring for patients, you’re responsible for growing your practice. Referrals and word of mouth are important for your business, but they’ll only get you so far. Effective digital marketing is the key to finding more patients. It’s tempting to dive right in with Facebook Ads, blogs, and email blasts to find more patients. These are great marketing tools, but they won’t bring results unless you have a firm understanding of your audience first. Well, It’s really no secret. Any experienced marketer knows this. Successful marketing rarely happens by accident. All great campaigns require knowing your target audience, including the subsets of people within your audience. This gives you the power to create targeted content that speaks to your specific audience(s). Shotgun-style marketing campaigns are often expensive and yield less results. Think about it: do you want to pay for a thousand unqualified leads or twenty interested leads? Personas make your marketing efficient. A smart, targeted marketing campaign is built on customer personas to bring real results. It’s not enough to make sweeping generalizations about your audience, either. To truly grow your direct primary care practice with marketing, you need to get specific. It all starts with buyer personas. A buyer persona, commonly referred to just as a ‘persona,’ is a fictional representation of your ideal patient. A persona is just one facet of your entire target audience. After analyzing your ideal customers, you might find that you have anywhere from three to seven types of ideal customers. 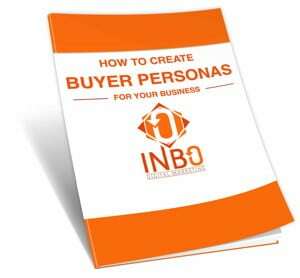 You should create a persona for each type of customer. For example, if one of your ideal customer groups is women aged 40 – 50 with hypothyroidism, you would create an actual character of a person that represents this group. The benefit of building a persona is to align your messaging, graphics, written content, and branding with your persona’s interests, challenges, and pain points. This provides a more personal connection with your target audience and greatly increases the likelihood of converting leads to the paying patients you want. A persona sounds fluffy at first, but personas are a key to finding more direct primary care patients by humanizing the data sets you’re pursuing. Personas are effective because they help you write content that better serves customers that fit the persona’s profile. Keep in mind that building a persona is a process. If it’s your first time building personas, it may take a little research, educated guesses, and adjustments until you find a persona that works. Don’t give up! Personas are worth the work and make your campaigns more streamlined and cost-effective. Let’s walk through how to create personas for your direct primary care practice. If you’re new to creating personas, the first step is to analyze your existing patient data. Who are your ideal patients? What’s their age, gender, marital status, or ailment? Get this high-level view of your customers first. Don’t worry, you’ll be getting more specific as you write the personas. Once you’ve determined your segments, it’s time to narrow them down into personas. First, create a visual avatar of “Thelma,” complete with cat-eye glasses and a graying bob haircut. Then you fill out a profile for “Thelma.” You determine that “Thelma” works as an accountant at a financial firm, raises three sons, and enjoys horseback riding. However, “Thelma” struggles to maintain her health and weight, which is why she needs a trusted physician. Naming the persona helps you view them in a holistic way, as a person, instead of as a piece of data. Naming the personas also keeps your target audiences definite and separate. Don’t skip this crucial step! Once you’ve named the personas, it’s time to get specific about who they are. The goal is to understand them more in depth. You should know what a day in their life looks like, their challenges, health challenges, and their pain points, like time or cost. What job do they have? Do they have children? If so, how many, and what ages? What does their daily life look like? Where are they online? Are they on Facebook and Instagram, or do they prefer to chat via email? Do they prefer to communicate offline with phone calls or direct mail? Where do they get their news? What are their health goals and challenges? How does your practice help them meet these health goals? The persona might be a character to you, but it’s representative of real people. Dive deep here and get to know your personas on more than a superficial level. Know their needs and motivations to create tailored marketing campaigns for results. Once you’ve created your personas, it’s time to put them to use. Solidify your messaging for each persona. For example, you may send a direct mail piece to “Diabetic Debbie” advertising your affordable diabetes treatment. Always consider the audience’s needs, pain points, and preferences when writing your marketing content. When you plan with personas first, your efforts will better resonate with your audience, resulting in more appointments and less headaches. Personas are a crucial first step for physicians looking to expand their practice. Know your audience’s needs and ensure your marketing is always on point with this important exercise. Leave the competition in the dust and start your marketing on the right foot. Worksheet to build your own!